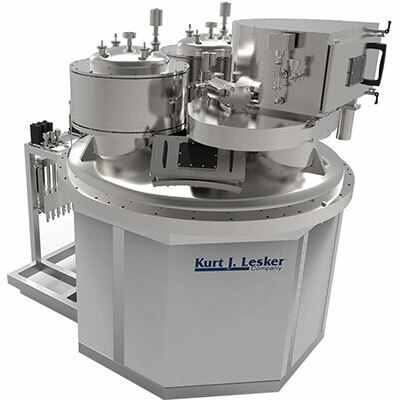 The Kurt J. Lesker Company® VIPER™ system is the latest technological breakthrough for enhanced coatings of 3-dimensional curved optics. 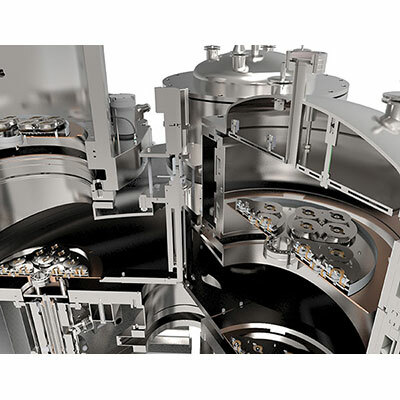 The VIPER takes a novel approach by utilizing a sputtering process to not only achieve incomparable uniformity, but its cluster style design utilizes a load lock for maximizing throughput. 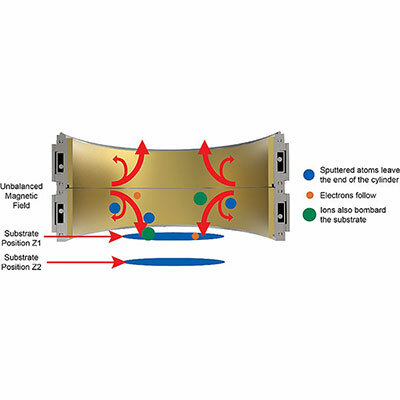 The standard design utilizes (2) TWO inverted cylindrical magnetron sources in an off-axis orientation to the substrate. 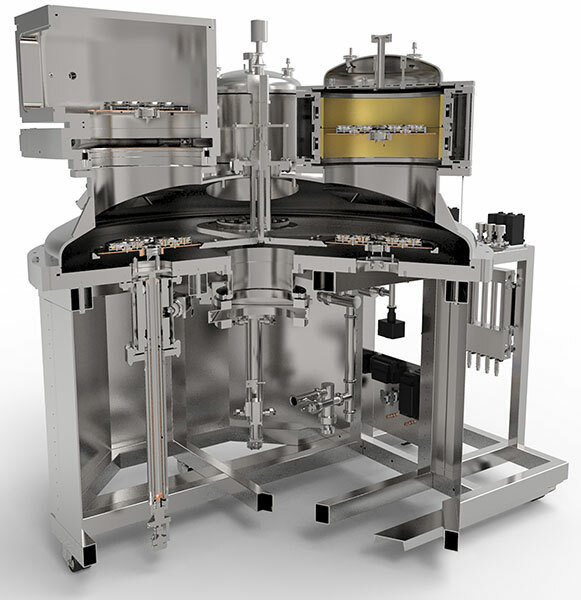 This allows for sputtering high and low index material simultaneously. 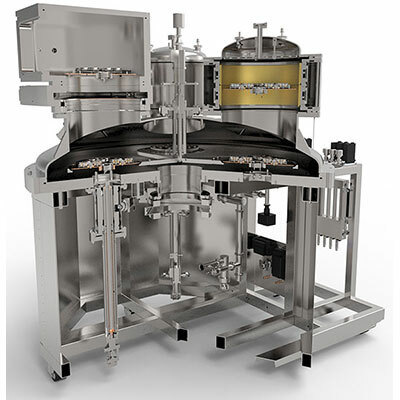 The substrate platens are designed for (3) THREE different substrate orientations, enabling multiple recipes to be carried out simultaneously. 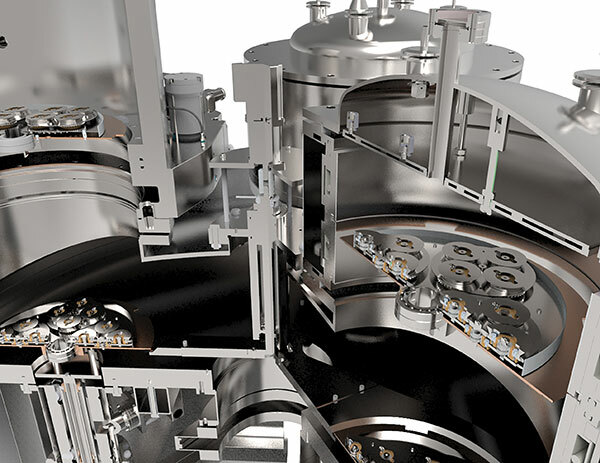 The VIPER's unique patented, inverted cylindrical sputter coating approach produces ion-enhanced coating quality without a separate ion source. The result of technology is the ability to achieve unparalleled uniformity on planar, convex, concave and complex surfaces. 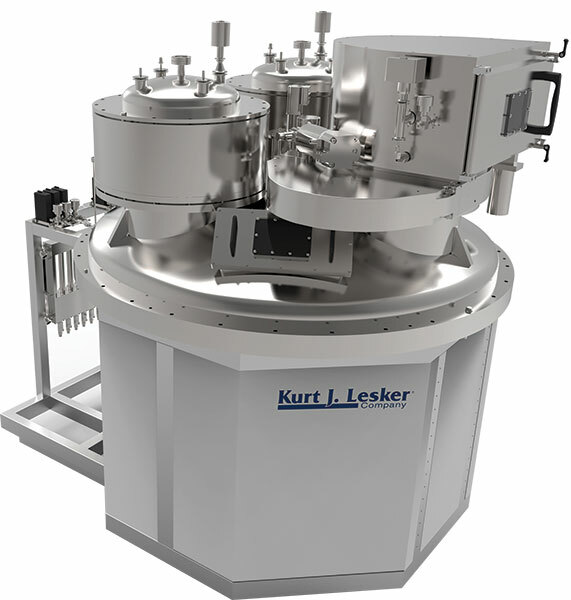 KJLC's software allows user friendly recipe creation along with a reliable, uninterruptable processing module that allows process completion, regardless of the state of the computer user interface.